Escpape the City and head for the coast! As the sailing venue for the Olympics, Weymouth has made a sterling effort to move upmarket: boat-shaped cafes on the beach, uplighters on the seafront, upgraded deckchairs. But underneath the gloss, it’s the same old Weymouth, thank goodness. For a panoramic view, take an airlift up the shiny new Sea Life Tower – which opened in June (The Quay, 0871 423 2110, weymouth-tower.com, from £6.50) – and look across a curve of Regency terraces to the Purbeck Hills, across the harbour to the gardens of Nothe Fort (01305 766626, nothefort.org.uk) to the Isle of Portland. 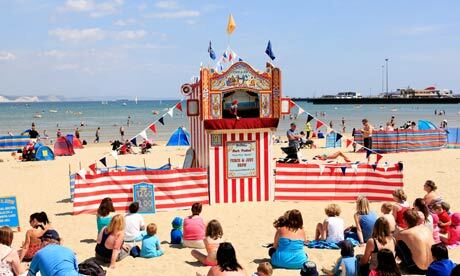 On the beach, there are donkey rides, Professor Mark Poulton’s classic Punch and Judy show (weymouthpunch.co.uk) and, according to the town’s Sand World (Preston Beach Road, 07411 387529, sandworld.co.uk, adult £6.50, child £4.50) the perfect sand for castles and sculptures. 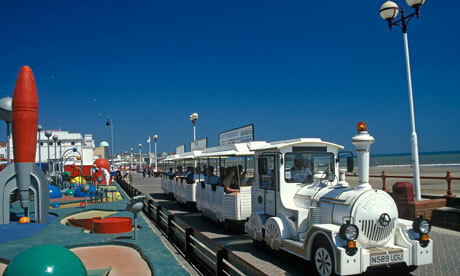 At Rossi’s retro parlour on the seafront, the ice-cream has been made on the premises since 1937 (01305 785557). The Stables Pizza and Cider House (Custom House Quay, thestabledorset.co.uk) is one of the new breed of restaurants that have popped up in the light of the Olympics. 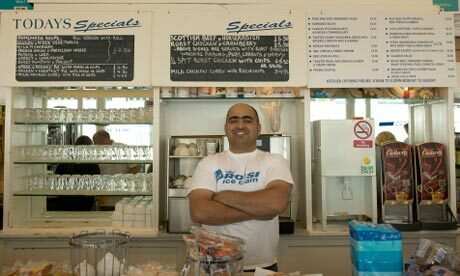 Cafe Oasis (01305 833054, cafeoasis.co.uk), on the beach at Bowleaze Cove, is a old favourite. Stay at the funky Roundhouse (1 The Esplanade, 01305 761010, roundhouse-hotel-weymouth.com, doubles from £105) between the harbour and the beach; or B+B Weymouth (68 The Esplanade, 01305 761190, bb-weymouth.com, doubles from £75). In the sunniest place in Britain – allegedly – a four-mile stretch of dazzling white shingle curves around Pevensey Bay. There are palm trees, tea dances in the Winter Gardens ballroom (every other Tuesday), rows of grand Victorian terraces planned by the Duke of Devonshire in the 1850s; a lovely bit of floral carpet bedding on a cheery promenade. Eastbourne is nowhere near as fast as neighbouring Brighton (think coach tours and pensioners in cardigans), but its Grade II*-listed pier is one of Britain’s finest – all rotundas and delicate wrought iron, strings of low-tech light bulbs and a curious little camera obscura that opens to the public in summer (eastbournepier.com). On the prom, the 1,600-seater Bandstand (01323 410611, eastbournebandstand.co.uk) serves up brass, tribute and big bands and musical firework displays beneath a 1930s dome clad in aquamarine terracotta. 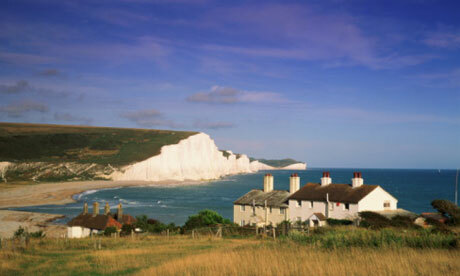 The chalk cliffs of Beachy Head (the highest point on the south coast) are within hiking distance. Try the Printers Bar Brasserie for good-value British tucker (12 Station Street, 01323 430880, printersbarbrasserie.co.uk), or the Flamenco Tapas Bar (8 Cornfield Terrace, 01323 641444, flamenco-tapas.co.uk). The Big Sleep (King Edwards Parade, 01323 722676, thebigsleephotel.com, doubles from £45 per night) has retro rooms on the seafront, but best bet for families are the self-catering suites at Guesthouse East (13 Hartington Place, 01323 722774, theguesthouseeast.co.uk, from £70 per night). The up-from-Londoners who swarm into nearby Holkham or Wells-next-the-Sea tend to bypass Cromer but what are they missing? Lovely sandy beach, for a start; flinty sea walls, rock pools, the zig-zag paths that wander between cliff-top gardens and the North Sea shoreline, the slender spire of St Peter and St Paul (at 160ft, it’s the tallest church tower in Norfolk). You can watch the local fishermen haul crab boats out of the water with mini tractors, or take the coast path to Overstrand or Mundesley-on-Sea, but Cromer’s speciality is the gloriously tacky Seaside Special – the last of its kind to survive. Showing daily at the pier’s Pavilion Theatre (01263 512495, cromer-pier.com), it’s a repertoire of song and dance, variety acts and saucy jokes performed by artists nobody’s heard of. Perfect for a rainy day. On the beach, the contemporary Rocket House Café (East Promenade, 01263 519126, rockethousecafe.co.uk) offers good, fresh food and great views. Boutique hotels? One day someone may do a Hotel du Vin on Cromer’s beautiful but decrepit Hotel de Paris, but try the Red Lion (Brook Street, 01263 514964, redlion-cromer.co.uk, doubles from £100 a night), or a sea view apartment at Tudor Villas (Cliff Avenue, 01263 823676, tudorvillascromer.com, from £400 a week). 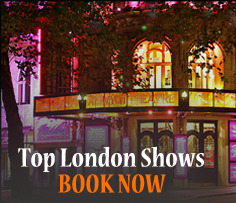 Let’s be honest, it’s Southend-on-Thames or EastEnder-on-Sea: Shane Richie in panto at the Cliffs Pavilion, Andrew Lloyd Webber’s Starlight Express and seven miles of Essex beach that runs along the north shore of the estuary. All this, and only an hour from the centre of London. Aside from the usual seaside bling (the twinkly lights of the pier head funfair, for example), there’s a Victorian cliff lift that trundles up from the promenade to pretty Prittlewell Square; you can cycle to neighbouring Leigh-on-Sea (for boatyards and clapboard cockle sheds) or up to the wilds of Shoeburyness. But Southend’s big draw is its pleasure pier. The world’s longest, it features a mile of railway line and, since 18 July, an end-of-the-pier Cultural Centre – a £3m, prefabricated arts venue complete with asymmetric roof and a geometry of glass and steel. The town’s first Comedy Festival took place on the pier last month (visitsouthend.co.uk). Among places to eat, try Ocean Beach (Eastern Esplanade, 01702 611363, ocean-beach.co.uk), the subterranean Pipe of Port (84 High Street, pipeofport.co.uk), or Rossi’s ice-cream parlour on Marine Parade. For rooms with a view, head for 18th-century Royal Terrace, which has two decent hotels: Pier View (01702 437900, pierviewguesthouse.co.uk, doubles from £80 per night); and Hamiltons (01702 332350, hamiltonsboutiquehotel.co.uk, doubles from £60). The north coast yachting set can be a bit snooty about the Isle of Wight’s southern resorts but Sandown and Shanklin (they are more or less joined at the hip) have the best of the island’s long sandy beaches, the crazy golf, the sun on their seafronts, and you can get there via the Island Line which runs from Ryde to Shanklin in a restored 1930s Northern Line tube train (southwesttrains.co.uk, £5.20 return). 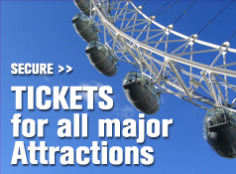 Must-dos include Shanklin Old Village (for tea rooms and chocolate-box thatch) and Shanklin Chine (shanklinchine.co.uk, adult £3.90, child £2) – a woodland gorge of rare plants, red squirrels and the seaside Fisherman’s Cottage inn. The quaint Small Hope beach offers deckchair hire and a cafe. In wet weather, dive into Sandown’s Dinosaur Isle (01983 404344, dinosaurisle.com, adult £5, child £3.70), everything you need to know about the fossil-rich geology. Best guesthouse is Bedford Lodge in Shanklin (4 Chine Avenue, 01983 862416, bedfordlodge.co.uk, doubles from £60); or near Ryde (20 minutes away), Vintage Vacations’ famous airstream caravan site now does B&B for two at £75 per night (vintagevacations.co.uk). The largest of the post-war holiday camps, Butlins put the town on the map back in 1961. These days Butlins has a Skyline Pavilion – it looks quite cool from a distance. But Minehead has other things going for it: a mile of sand and pebble beach, views of the Bristol Channel, a farmers’ market, narrow backstreets and the odd bit of Somerset thatch, plus lots of worthwhile day trip potential. North Hill, the big hump of wooded cliff which overlooks the town, is the beginning of Exmoor national park. Below, by the harbour, a giant sculpture of a hand clutching a fold-out map marks the start of the 630-mile South West Coast Path. In the summer, steam trains run from Minehead to Bishop’s Lydeard on the charming West Somerset Railway (01643 704996, west-somerset-railway.co.uk, day pass adult £17, child £8.50), its vintage trains chuffing through 23 miles of stunning countryside. For castles, cobbled streets and a bit of posh, pop over to nearby Dunster. On the beach at Blue Anchor, just along the coast, the Driftwood Cafe (01643 821697) is worth a lunch visit. And if you are sticking around, check out the Castle Hotel in Dunster (5 High Street, 01643 823030, thedunstercastlehotel.co.uk, doubles from £90). Bridlington went up in the world when David Hockney moved in. The artist has a house on Brid’s South Shore, overlooking the town’s vast blue flag beach and the Nautical Mile (an architectural promenade of sculptures, modernist beach huts and artworks by Bruce McLean). The North Shore is a noisy jangle of dodgems, bingo and candy floss, but Bridlington is full of surprises. The Old Town (a mile inland) boasts galleries, vintage shops and one of the most complete Georgian streets in England. There’s a ruined medieval priory. The 1930s Royal Hall theatre is now the Spa Bridlington, a multi-use venue with a jazzed-up facade – an uneasy shade of orange – and a restored art deco interior (sign up for a free tour: South Marine Drive, 01262 678258, thespabridlington.com). There’s a busy old-salt fishing harbour (mostly landing crab, lobster and scallops) and some decent seafood restaurants. Try Naked Fish (22 Bridge Street, 01262 400266, naked-fish.co.uk) or the award-winning chippy on Marton Road (01262 678378 fishandchipsat149.co.uk). Local beauty spots include Flambrough Head, or the nature reserve at Bempton Cliffs – for breathtaking views and 200,000 seabirds (rspb.org.uk). Accommodation is not Bridlington’s strong point, but Kilham Hall (01262 420466, kilhamhall.co.uk, from £120 a night) has luxury rooms in a country house in nearby Kilham village. On a damp day, with the wind blowing in off the Irish Sea, Morecambe verges on the melancholy. But the erstwhile “Naples of the North” has its moments – mainly the iconic Midland Hotel, the big smile of cruise-ship art deco which helped revive this tired Lancashire resort when it reopened in 2008. What else? World-class sunsets, cockles and potted shrimps. And Eric Morecambe (a statue of the town’s famous son does a “Bring Me Sunshine” number on the seafront). Photographers snap away at beached wrecks on gleaming mudflats, the largest expanse in the UK. Nearby, there’s the lovely Lune Valley, or Lancaster’s Williamson Park with its must-see Ashton memorial: a Taj Mahal-style folly, built in 1906, it offers breathtaking views across Morecambe Bay to the Lakeland Hills. Back on the seafront, pop into the Formica heaven of Brucciani’s tea room – another mid-century classic. And gaze at the wonderful Winter Gardens (closed since 1977) and weep. A restoration wannabe, as deserving as the Midland, the ornate Victorian theatre is occasionally open to the public (01524 422180, thewintergardensmorecambe.co.uk). Accommodation-wise, nothing rivals the Midland (Marine Road West, 0845 850 1240, englishlakes.co.uk, doubles from £112), unless you count the Ashton (Wyresdale Road, 01524 68460, theashtonlancaster.com, doubles from £125 a night), which offers theatrical townhouse rooms in the centre of Lancaster. The name says it all. Mablethorpe. Old-fashioned. First impressions are wall-to-wall amusement arcades, Motability scooters, buckets and spades, buns and burgers, and Mr Whippy. 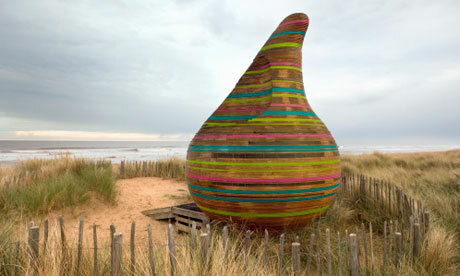 But Mablethorpe pulled a blinder when it reinvented itself as Beach Hut Central. Not just any old beach huts but designer huts, novelty showpiece huts; there’s one shaped like a gin and tonic – with a slice of lemon and a cocktail straw. Jabba the Hut is an onion of striped laminate sitting alone in a sand dune. Along the long strip of blue flag beach that connects Mablethorpe to Sutton-on-Sea, there are roughly 300 huts; they include some jolly 1950s huts on Queen’s Park between the sea and the Thomas the Tank Engine miniature railway. These, and others, are available to rent (01507 473641/443765, e-lindsey.gov.uk/beachhuts, from £10 for a half-day). Sadly they are all booked out for the resort’s fifth Bathing Beauties Beach Hut Festival (14-16 September, bathingbeautiesfestival.org) but you can go along for poetry, art and fireworks. Mablethorpe is a bit of culinary wasteland, but Poplar Farm’s Wild Coast Pantry at Sandilands, near Sutton-on-Sea (01507 443112, poplar-farm.org.uk) will do you a nice picnic for your beach hut (plum bread, for example, and local cheeses). It has a good farmhouse B&B, too (doubles from £75). 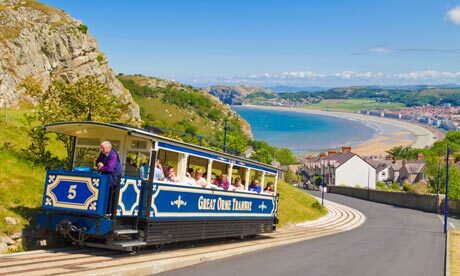 Set on a narrow isthmus between the Great Orme and the Little Orme – the two rocky headlands that sit either end of the town’s sweeping North Shore promenade – this is one of the prettiest of seaside resorts. And I’d say that, even on a rainy day. Its handsome Indian-Gothic pier is the longest in Wales; the seafront is trimmed with grand Victoriana laced with wrought iron; and from the West Shore you can look across the Conwy estuary to Snowdonia. Nice beach, too, But it’s the magnificent Great Orme Country Park (greatorme.org.uk) that provides all the action. You can walk up to its summit (or take an Edwardian cable tramway), whizz down its slopes on a PermaSnow ski slope (01492 874707, jnlllandudno.co.uk, practice session adult £13.50, child £10.50), zip over its Happy Valley gardens on a high-wire aerial cabin lift (look out for Kashmiri goats down below), or do the scenic Marine Drive circuit in a vintage bus (01492 879133, alpine-travel.co.uk, £5 adult, £2.50 child). A good stopover en route is the Rest and Be Thankful Café (01492 870004, restandbethankful.net). At the foot of the Orme, Escape B&B (48 Church Walks, 01492 877776, escapebandb.co.uk, doubles from £89) is the cool place to stay. Posted on August 7, 2012, in Coach Trips, Day Trips from London, Travel Tips, Visit Britain, Visit Weymouth. Bookmark the permalink. Leave a comment.